Corgi Shepherd Mix comes from the cross breeding of a Welsh Corgi with a German Shepherd. This breed is commonly referred to as the Corman Shepherd. This is a fairly common cross because these dogs tend to take the best characteristics from the parents. The Corgi Shepherd Mix gets the German Shepherds coat and pace while maintaining other desirable qualities that both dog breeds have. Intelligence and high activity levels are such two traits that the Corman Shepherd inherit from the parents. The two breeds are originally herding dogs and thus the cross tends to be a clever dog. When it comes to training, they easily learn new skills. The have an adult weight of around 40-70 pounds and a height of 12-15 inches. They have a life expectancy of around 12-15 years though this may vary a little bit. The appearance of the Corman Shepherd is close to the parent breeds. They can either resemble one parent with just some hints of the other or take almost equal qualities from both parents. But generally speaking, the Corman Shepherd is a small dog with short legs justifying the result of a Corgi Shepherd Mix. The Corgi Shepherd Mix has a sturdy body which is low set. Their frames are well balanced and have a tough physical look. They have long erect ears just as both parents have. The head looks flat and the eyes are almond shaped. Most of the Corgi Shepherd Mixed dogs take the coat of the German Shepherd which is the major reason for cross breeding these two dogs. The coat is easier to groom than the Corgis. The coat color is golden with markings of black and white. However, this is not fixed and it will mostly depend on the German Shepherds coat colors. A great video by Whitters95 shows how cute these Corgi Shepherd Mix are. This Corgi Shepherd Mix is particularly known to be highly intelligent and being a herding dog, will tend to control even the owner. This should be discouraged very early in life. It shows aggressiveness to strange dogs and cats. However, if the Corgi Shepherd Mix is well trained it gets along with these different pets as well as with humans. When the parents of the Corgi German Shepherd Mix have a good temperament and are very loyal to their families, the cross of the two breeds will exhibit these tendencies too. They are capable of reading situations and interpreting them in the correct way especially those that pose a danger to their families. Just like all other dog breeds, Corman Shepherds have a few health issues. One of the most common is obesity which leads to a myriad of other problems such as back pains, joint pains and increased risk of cancer. 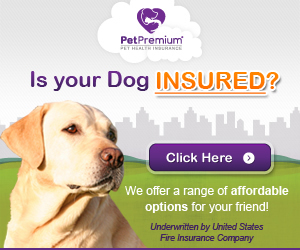 You need to exercise this dog daily and take out in the fields for vigorous exercise at least once a week. Feed the Corgi Shepherd Mix on quality dog food at specific time in daily basis. They have a huge appetite and their portions need to be strictly controlled. Do not make treating your Corgi Shepherd Mix a habit since they gain weight easily and fast. If you have to, choose a healthy snack that is low on calories. Anyone know where I can find / buy one of these wonderful lovers? 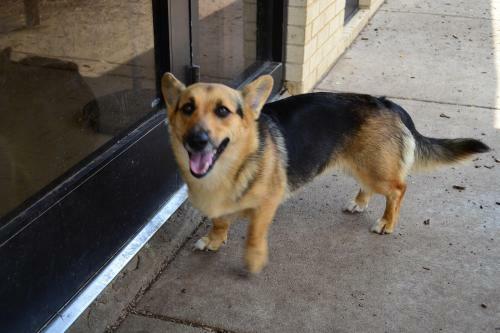 I am in search of a male corgi shepard mix. I have an adorable Corman Shepherd for sale as a companion pet. Her name is “Her Highness” She is approximately 2 years old, has had her shots,and has not been spayed. .I would have to personally talk to anyone interested in buying her. I have four other pets and am moving. in a month or so. I will have some corgi/German shepherd puppies in early May if anyone is interested. Where are you located and how much would you be wanting for one of the pups? I was interested in one of the Corgi/German Sheperd puppies if they aren’t all spoken for..I recently lost “my girl” named “RUCA” that I rescued and raised from a puppy due to a terrible accident right before Xmas this past year and I really miss my best friend,,, I know that emptiness won’t ever be filled but the personality and intellect of the breed is what set “RUCA” in a league of her own and a place in my heart forever..! Hi where are you located? I am very interested! I am very interested in your Corman Shepherds! Please get back to me! Thank you. I’m wondering if Her Highness has found a home yet? I am in search for one of these pups and am having trouble finding any!! Let me know if anyone has one!! I am looking for a Corman Shepherd. Please, if anyone has any info, fill me in!! !